On the occasion of the World Day of Corsica which was held last January 9th, Andemu was talking about these 8 Corsican innovations which changed the world. What if the ninth one comes this year ? In any case, this is all we wish to this young start-up based in Ajaccio who is wisely waiting for the arrival of spring to pollinate Corsica with a new way of travel. APPeBIKE (pronounced “Happy Bike” or “Api Bike” – Api designating the bees in Corsican), here is the name of this start-up which will reinvent your way of travelling. To achieve this, it has woven in Corsica the 1st ebike tourism network: electric bicycles installed throughout Corsica to discover the island of beauty in another way, at its own pace, healthier and respecting nature. If the start-up hosted within the CampusPlex in Ajaccio is at the origin of this project, hotels are the real maynstays. 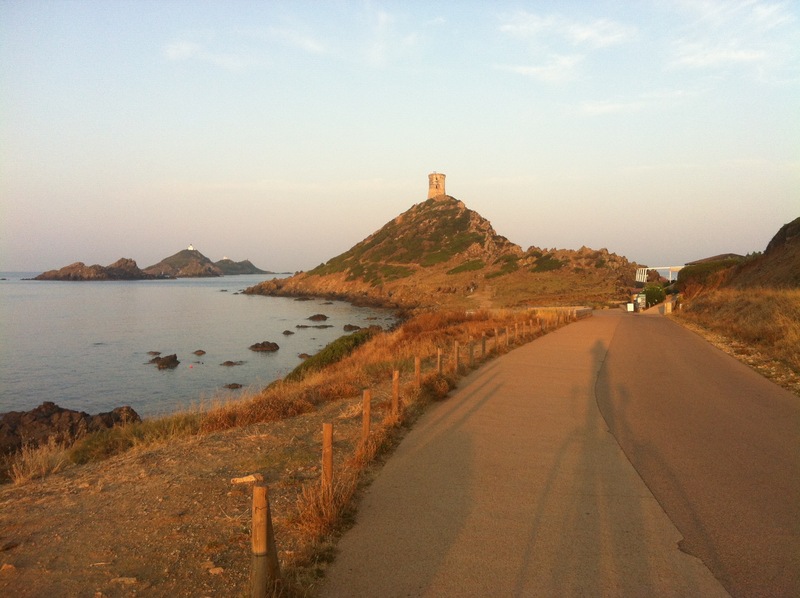 By hosting the collection points in their establishments, they make the electric bicycle accessible to all and everywhere in Corsica. By 2017, nearly 20 hotels will be part of the network. “Because their job is to welcome and treat travellers, APPeBIKE has chosen hotels to host its e-bikes. In addition to offering an added service to their clients, the selected establishments see the wealth of their region highlighted, and all this for free. 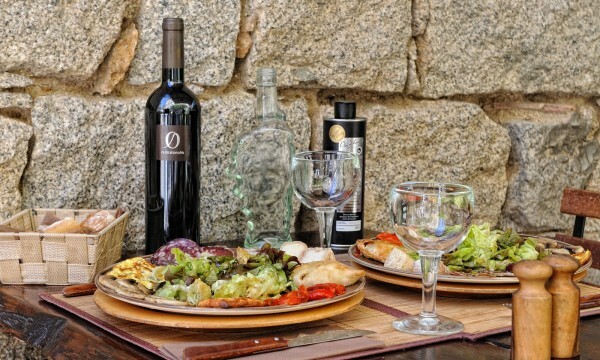 1 month before the launch, nearly twenty establishments in the four corners of Corsica have already joined the network. The Ajaccian start-up announces that this number will be limited to 20 for the first year, before an expansion of the network to other establishments in 2018 in Corsica, but also on other territories in the Mediterranean. By installing e-bikes on all the Corsican territory, APPeBIKE wants to make the electric bicycle accessible everywhere and at all ages! With 74 mile battery life, these electric all-road bicycles (VTC) allow whatever his age and state of health to return in childhood, the space of his holidays, by going up on a bicycle to discover Corsica in a completely new way. 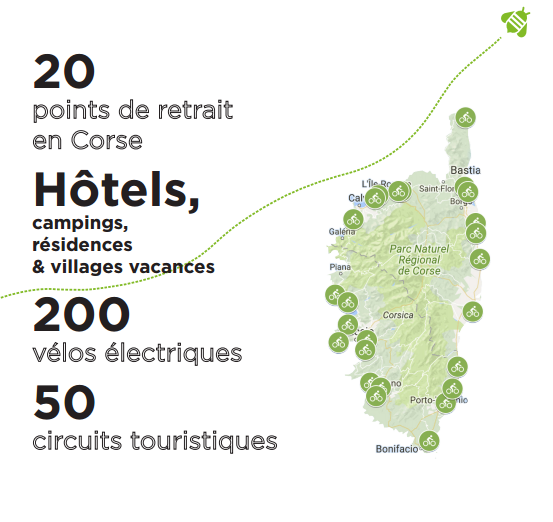 The 200 e-bikes installed this year will obviously be intended for travellers staying in partner hotels as well as others who come to Corsica to stay in other establishments but also for Corsicans themselves who will want to (re)discover their region differently. Unlike the Vélib, APPeBIKE is not a simple means of transport but an authentic experience that reinvents the way you discover a region. 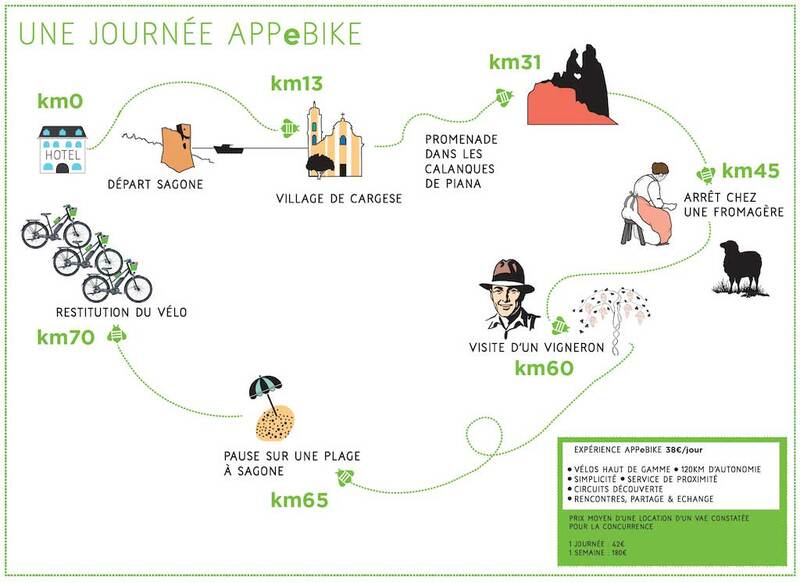 Thanks to its easy to use mobile application, APPeBIKE offers you the freedom to live an authentic experience. The application geolocates you and shows you which electric bikes are nearby. Once you have selected your starting point, you book your bike and receive a virtual key. This key allows you to unlock your e-bike with your smartphone. No more endless queues at the counter. Before you start your ride, the application proposes you the best tours from the hotel where you leave. Tours from the coast to the interior that bring together the best points of interest in the region : local producers & craftsmen, natural, historical sites, beaches… The app also allows you to meet travellers from all over the world. By booking your bike, you can show your departure time to other users, and plan your ride with them. Thanks to these electric bicycles which we will be able to rent for half a day, a day or even a week, APPeBIKE estimates to avoid 600 000 km of cars travelled on Corsican roads as well as the emission of 140 000 kg of CO2 in the island ecosystem in the year 2017 alone. 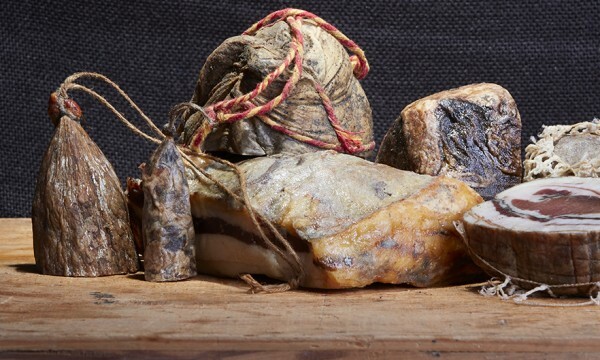 The arrival of this World First in Corsica is planned for April, we can’t wait to try it ! Corsica, a land of cinema ? London : The new laboratory of Corsican diaspora ? 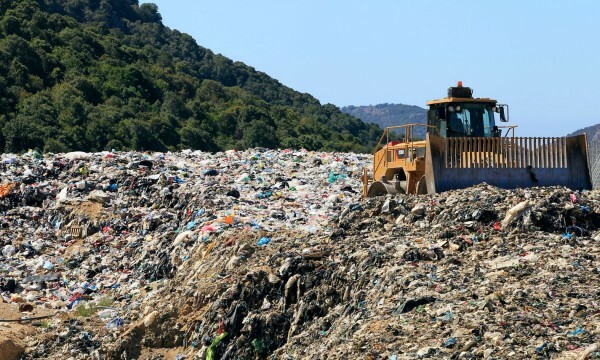 What would you say if Corsica could sell its waste to Norway ?